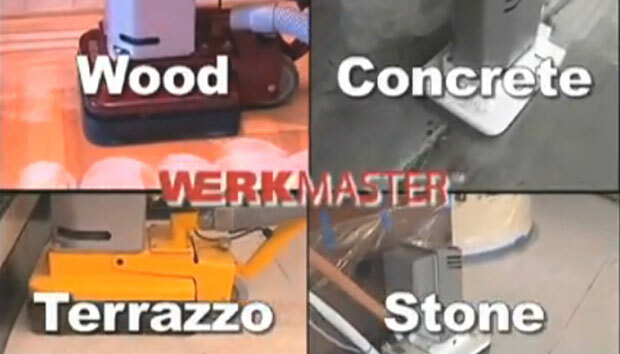 Shown below is a selection of WerkMaster product videos. 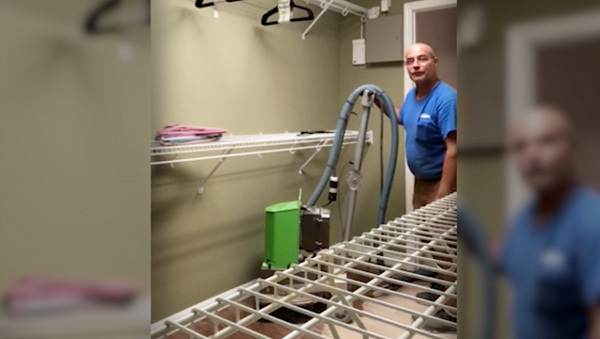 Anthony LiCausi owns Finishing Touch Floors with locations in Ocala, Florida and New York City and has 37 years’ experience refinishing hardwood floors. 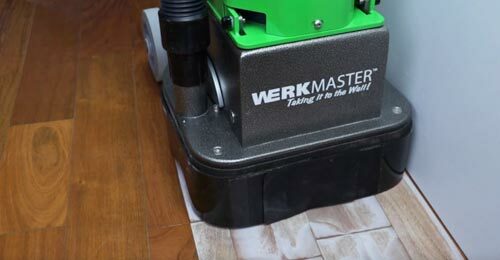 Dennis Miller of Traditional Hardwood Flooring, Vancouver, Washington, 30 years in the hardwood refinishing business, talks about WerkMaster’s RASP. 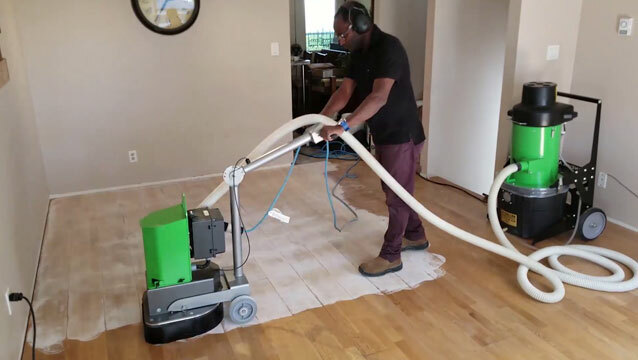 Anthony owns Finishing Touch Floors with locations in Ocala, Florida and New York City and has 37 years’ experience refinishing hardwood floors. 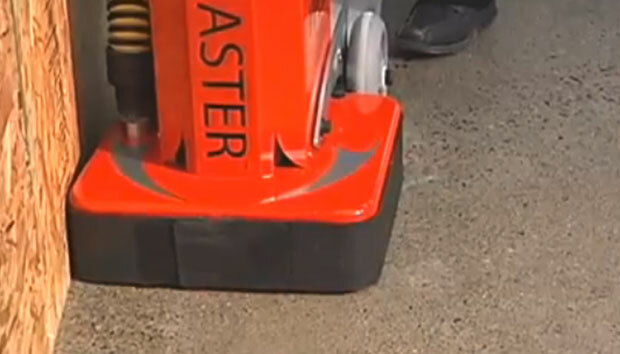 Lightweight and maneuverable the RASP quickly disassembles into three parts for easy lifting and transport. 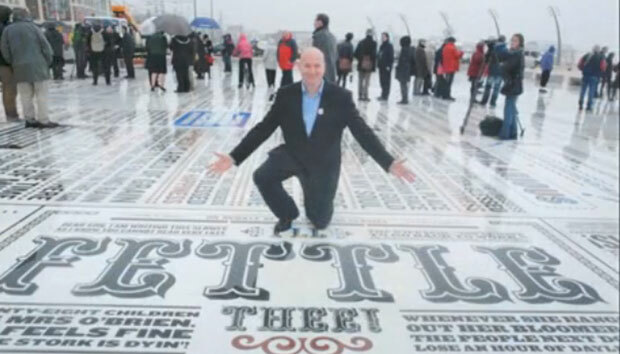 Some of the Greatest People in the World Have Walked All Over Us…….. And We Are Proud of it! 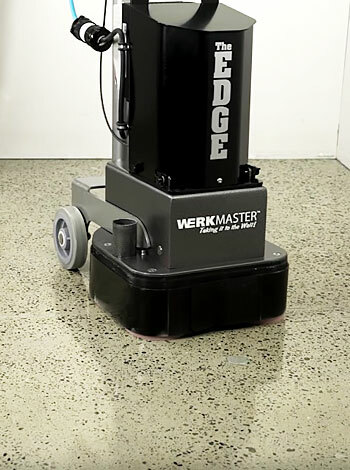 The Edge is a compact and powerful compliment to any large floor machine that eliminates the need to hand grind edges when polishing concrete, stone and terrazzo. 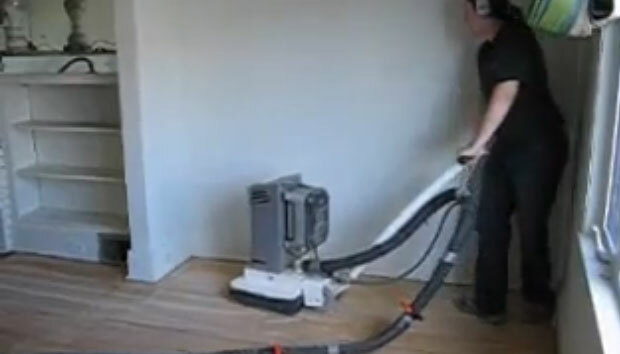 Achieve Great Results!. 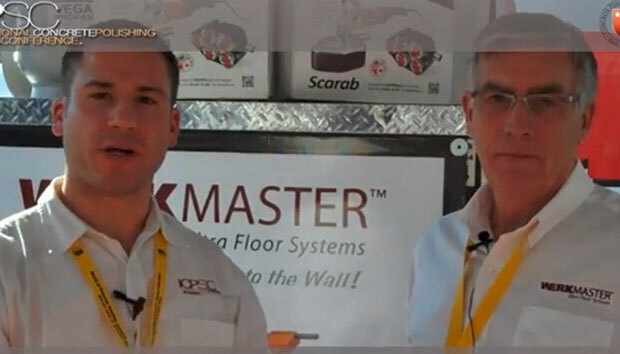 New Step by Step video showing you how to polish concrete with The Scarab by WerkMaster. 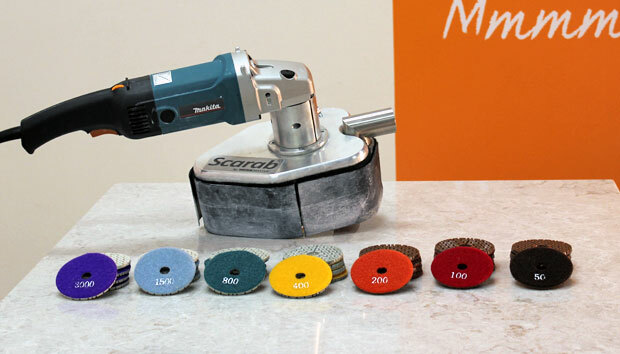 A variable speed grinder, polisher and sander that is the ideal machine for use on stairs, ledges, floors and countertops. 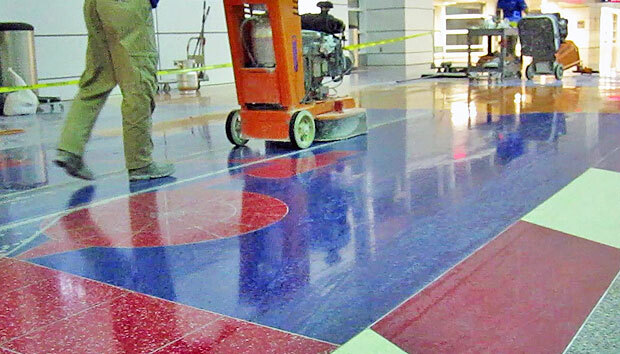 Excellent on concrete, hardwood, decks, terrazzo, stone, and VCT tile. 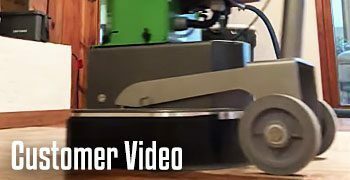 Use the RASP as an edger sander to refinish hardwood and wood decking faster and more cost-effectively than traditional machines. 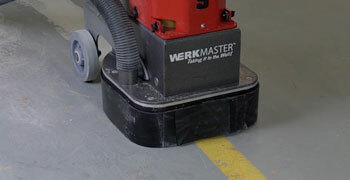 Designed for use as surface preparation equipment for rental organizations and built for the rental equipment market. 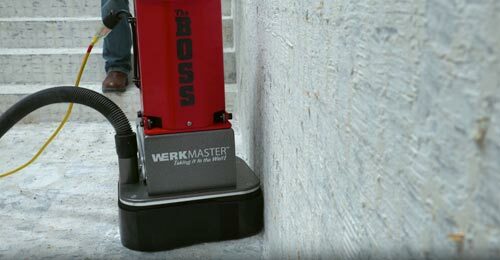 110V floor grinder that plugs into any wall plug. 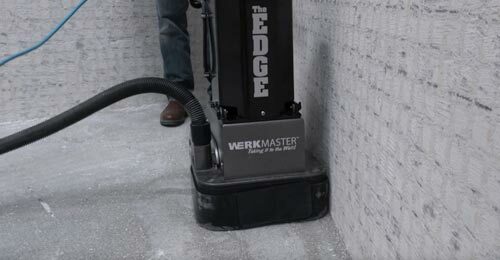 Edging with the Titan XT – Taking it to the Wall! 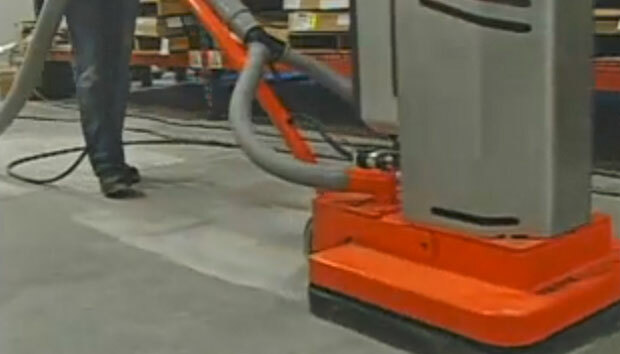 What is the Real Cost of Edging on a Job? 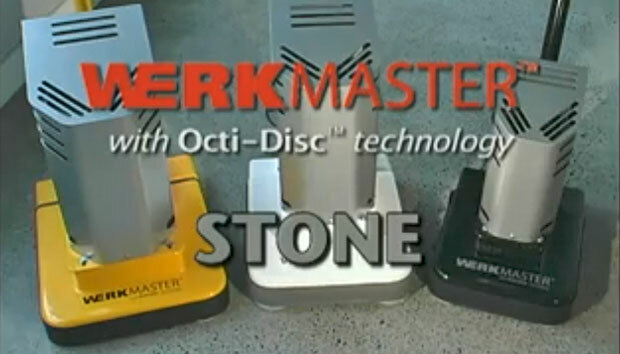 WerkMaster shows you a new way to edge concrete, hardwood, stone, and terrazzo. 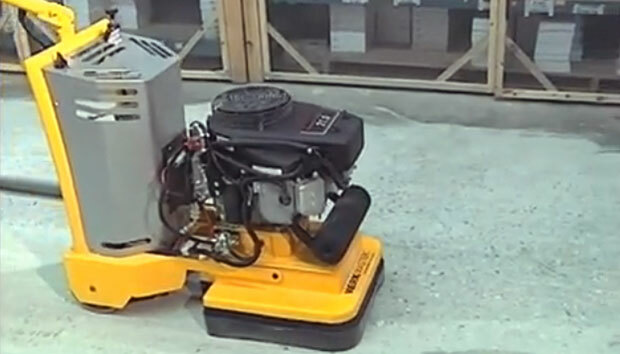 The Most Aggressive Concrete Surface Preparation and Polishing Machine in its Class. 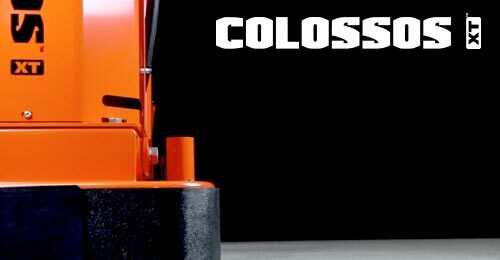 Designed to Exceed the Needs of the Professional Contractor. 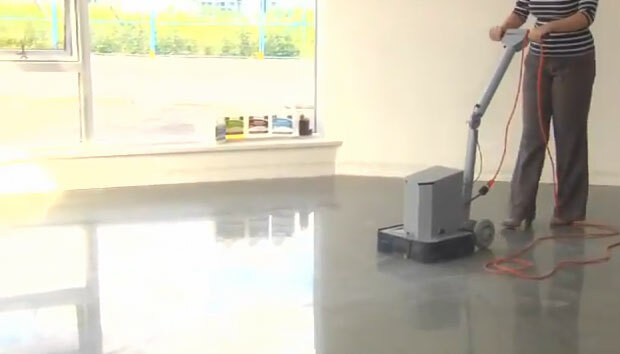 How to Video demonstrates WerkMaster’s ability to refinish epoxy and cementitious terrazzo floors using our 4 Step process. 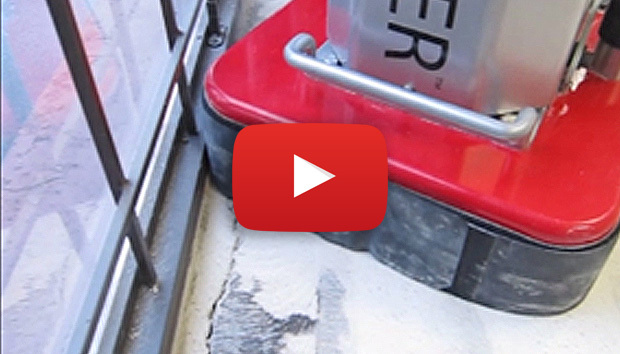 Learn how to polish MAPEI Ultratop PC® self-leveling, cementitious topping. 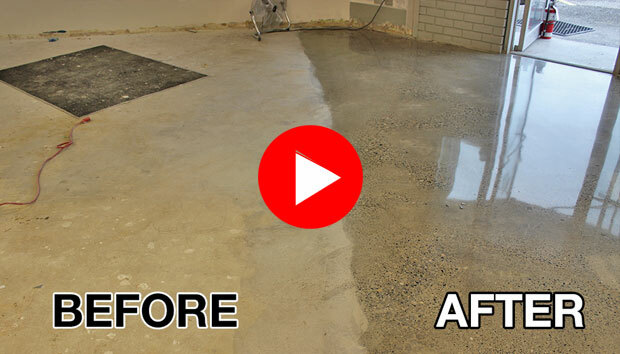 From concrete surface preparation to final, polish and seal. 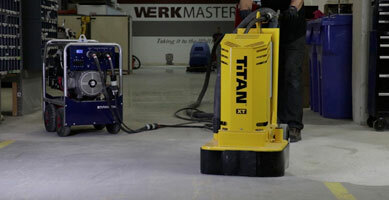 See how the New Propane Titan XT removes carpet glue and thin set and leaves a mirror polished concrete finish behind. 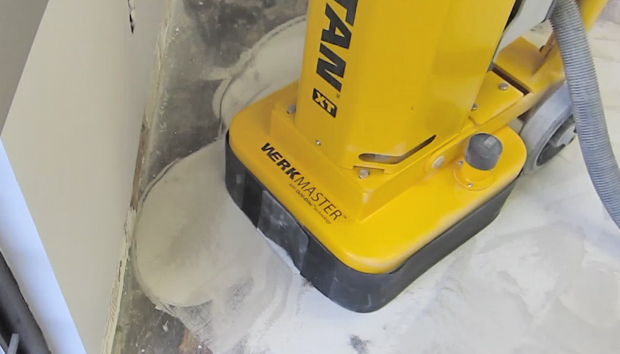 Watch how the Propane Powered Titan XT effectively removes multiple layers of carpet glue from a concrete floor. 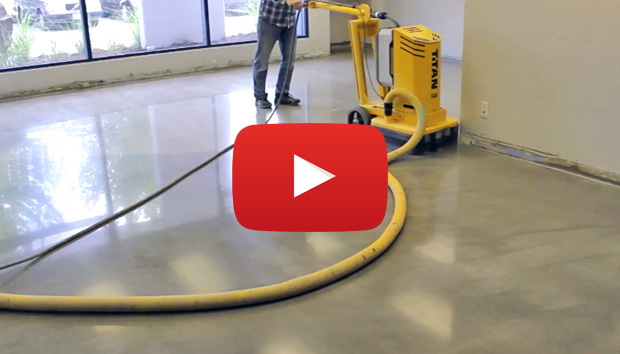 How to Polish ARDEX PC-T™ Concrete Topping. 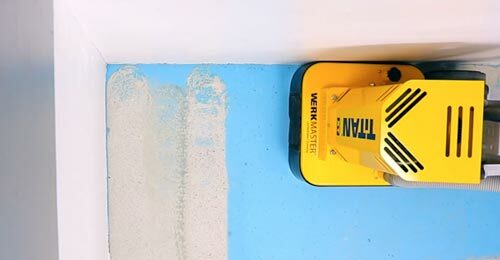 From concrete surface preparation to final, polish and seal. 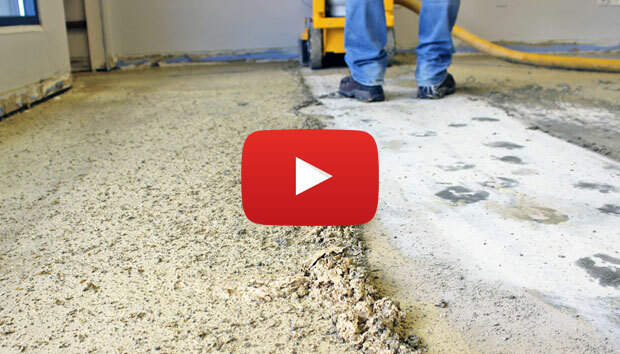 See how the Colossos XT quickly and effectively removes Ardex PCT Topping from concrete. 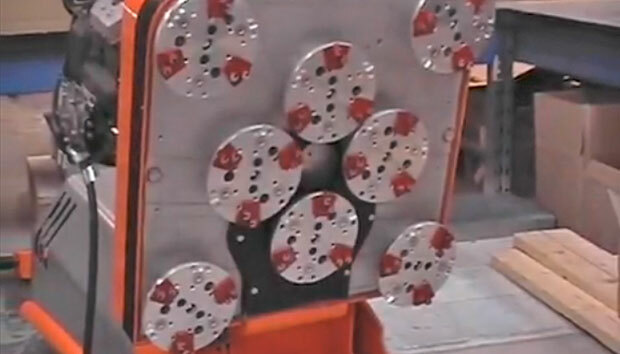 How to properly choose the correct Plug ‘n Go Diamond Abrasive Tooling configuration. 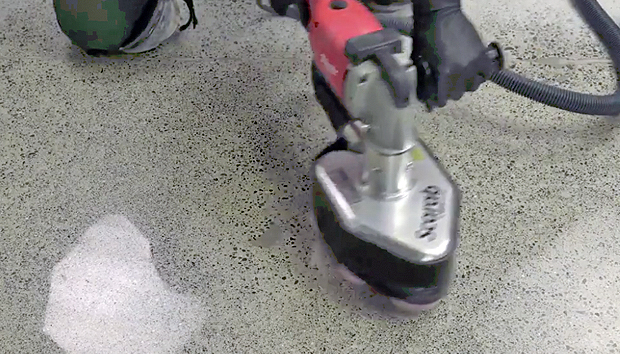 Removing Epoxy Paint & Coatings, Polishing Concrete, Densifying and Sealing Concrete with the new Scarab handheld grinder. 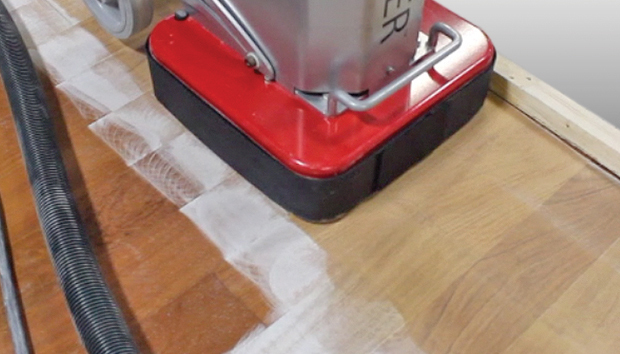 Step by Step video on how to remove scratches and repair a quartz countertop. 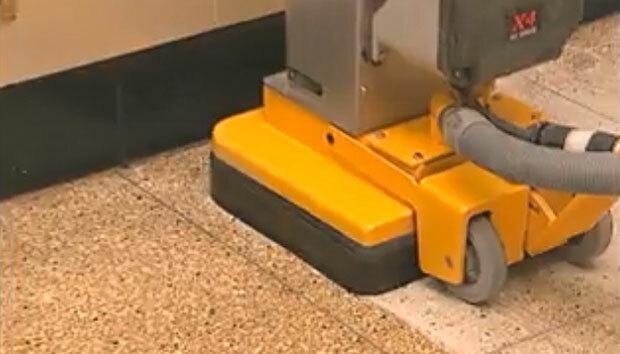 System can be used on Caesarstone countertops. 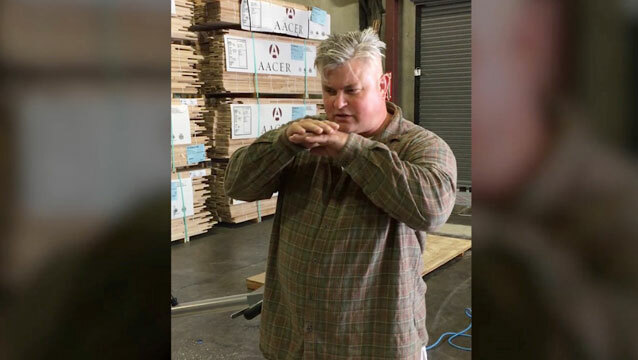 Interview with Mike Lucky. 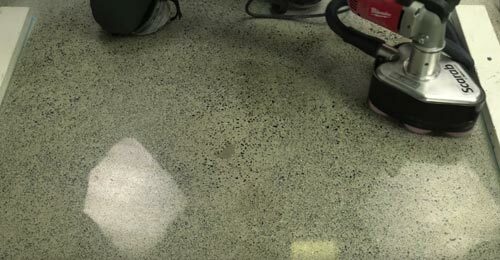 How to remove an epoxy coating and then polish the concrete floor to a highly reflective finish. 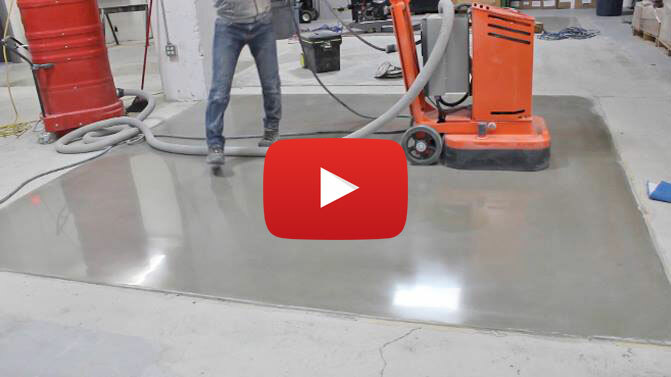 See how we transformed a 4 day old concrete slab without using sealers to achieve the high shine. 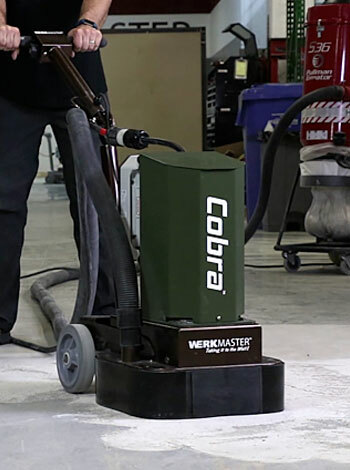 See how to polish concrete, remove coatings, densify and seal concrete with WerkMaster’s lightweight VIPER. 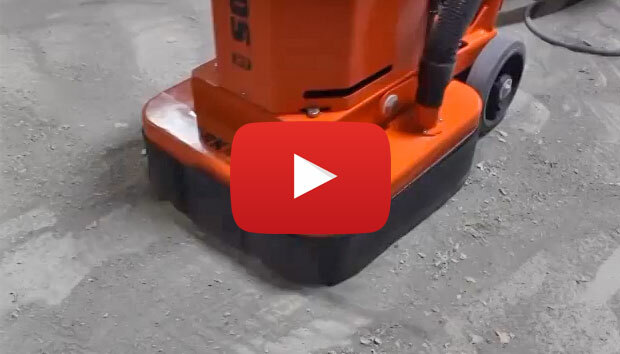 Video of a multi surface floor machine for use on concrete, stone, terrazzo and hardwood. 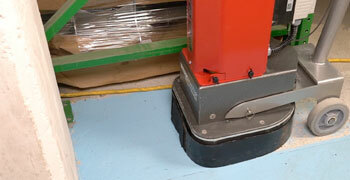 Remove deep birdbaths or fishbowls up to ¾ inch deep. 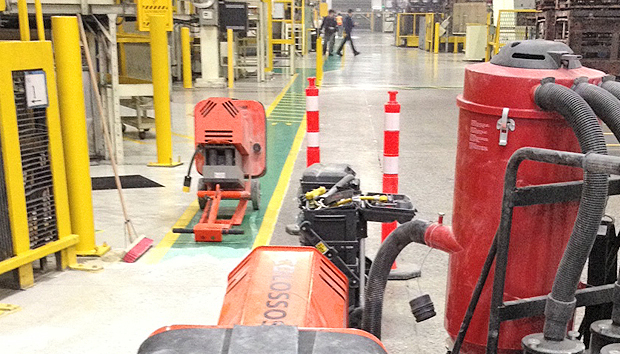 Grind and polish around drains. 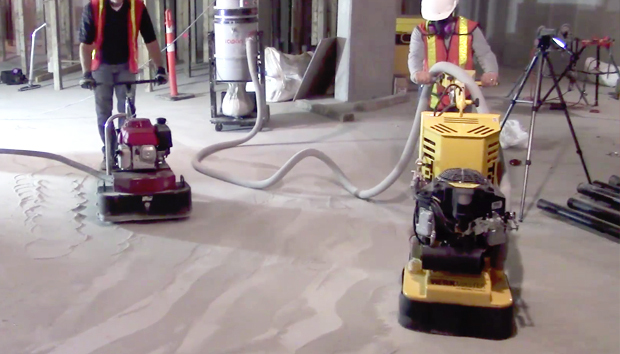 Grind and polish over 23,680 square feet of outdoor concrete with over 160,000 individually cut granite letters embedded in the concrete. 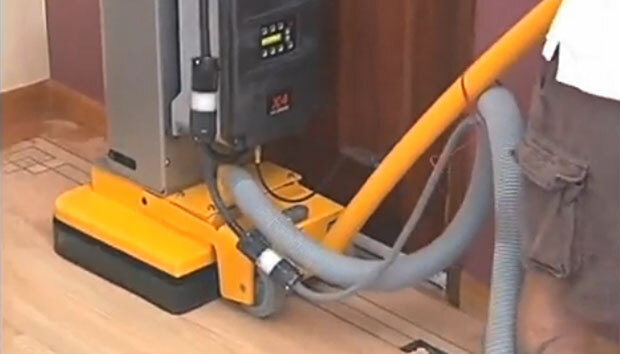 Sand & Refinish Hardwood Floors with a Multi Surface Floor Machine. 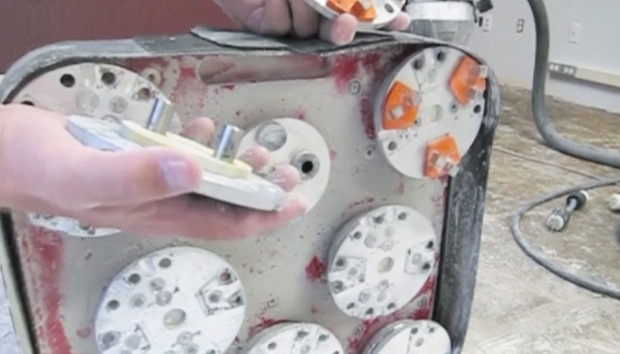 Great DIY machine. 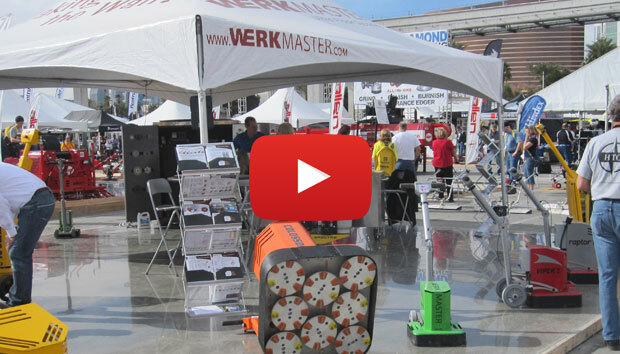 Contact your local rental facility today!